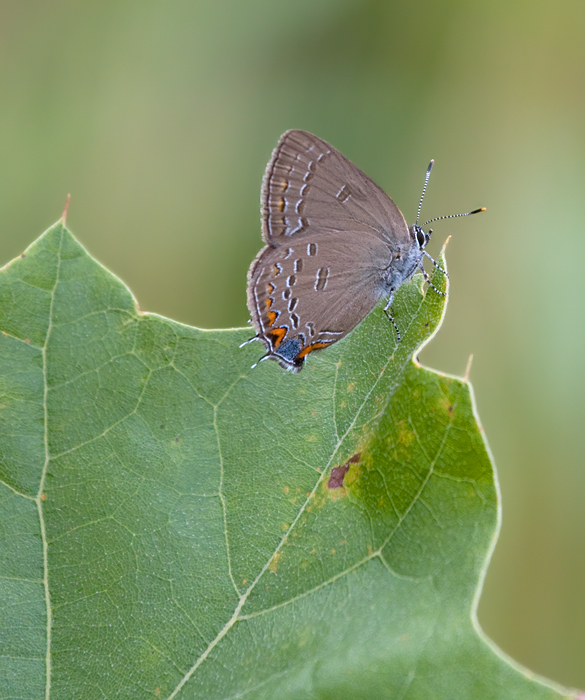 Mid- and late July in Maryland. 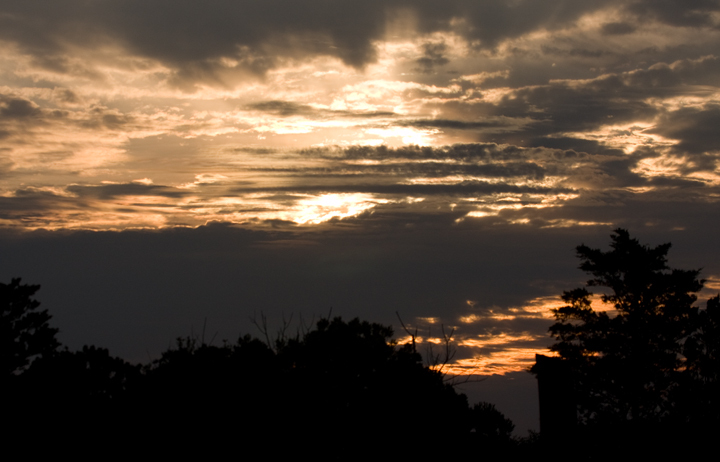 Last updated: 7/20/2009. 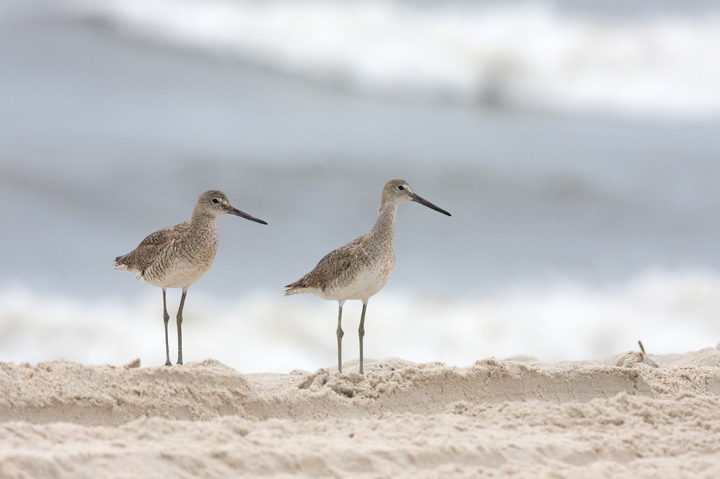 Above and below: A comparison of Eastern and Western Willet on the Assateague Island ORV/OSV zone, Maryland (7/18-19/2009). 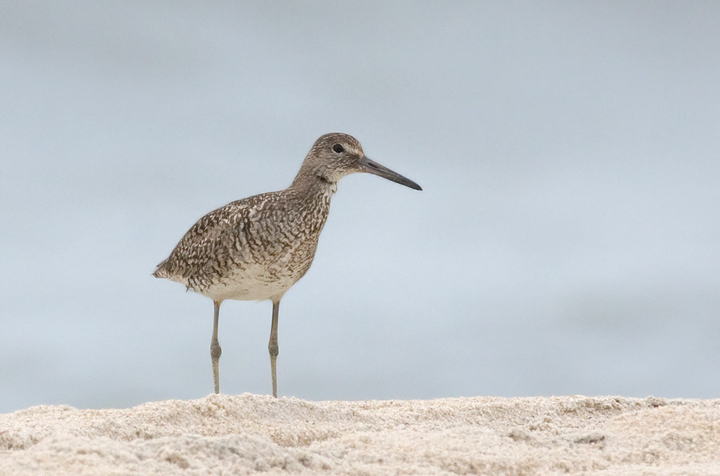 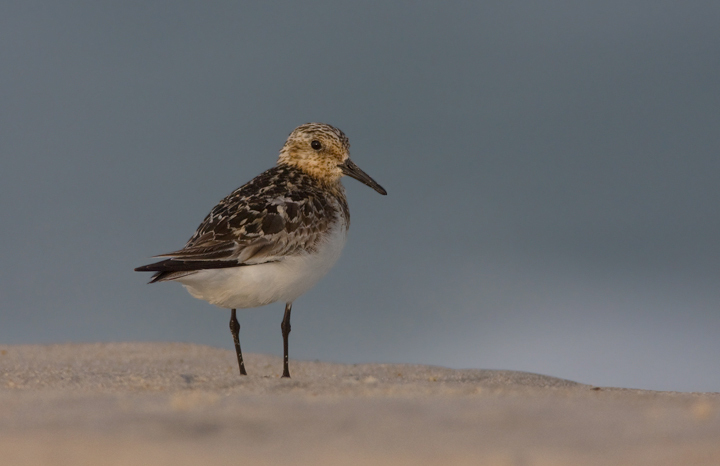 Westerns are generally larger, grayer, longer-legged, and thinner-billed than Easterns. 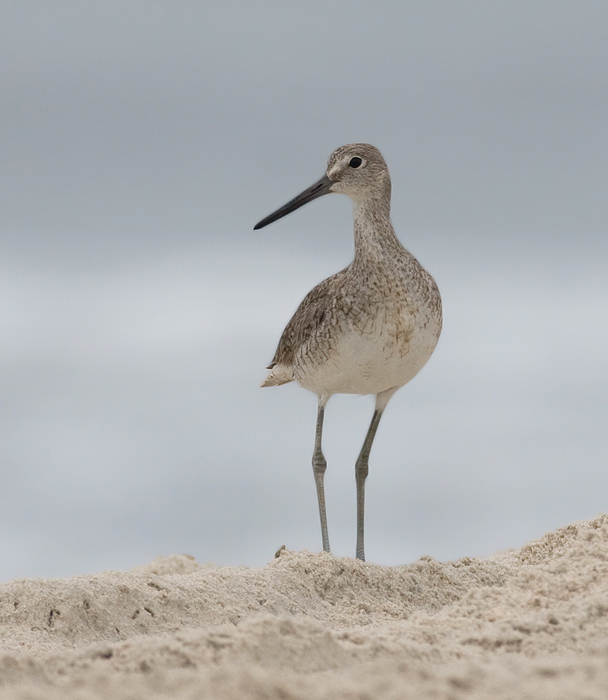 In spending more time staring at these birds, Westerns definitely look more godwit-like than Easterns. 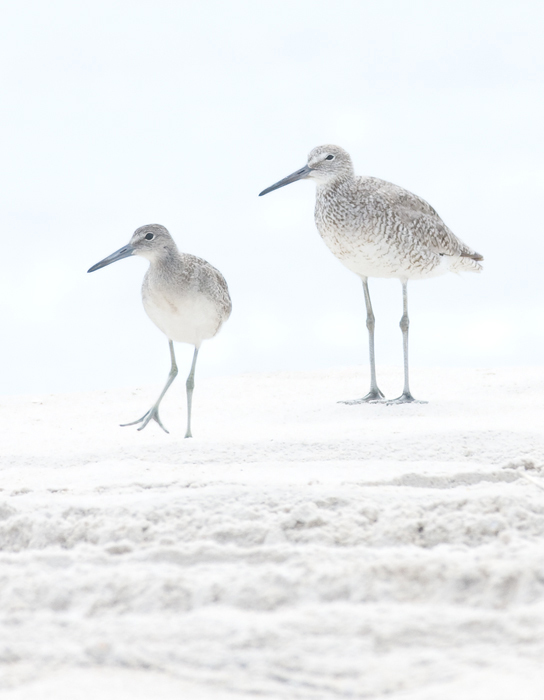 The image above really highlights the differences - click it for a higher-resolution version. 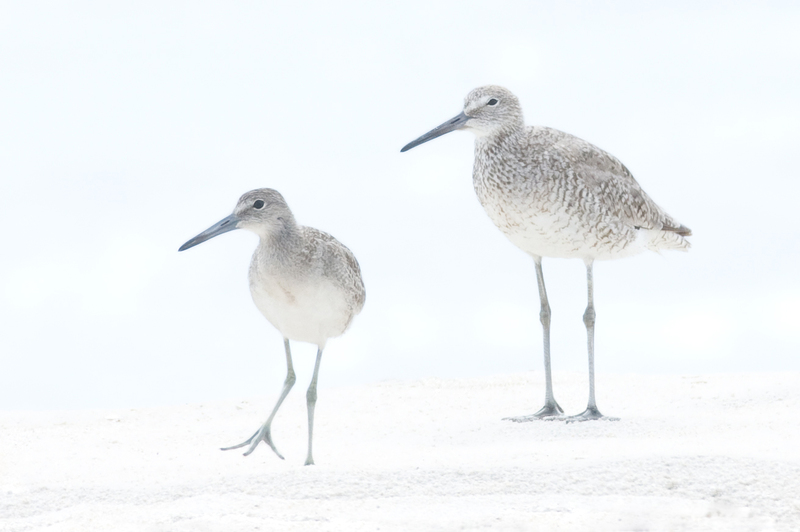 Which (sub)species is shown in each image below? 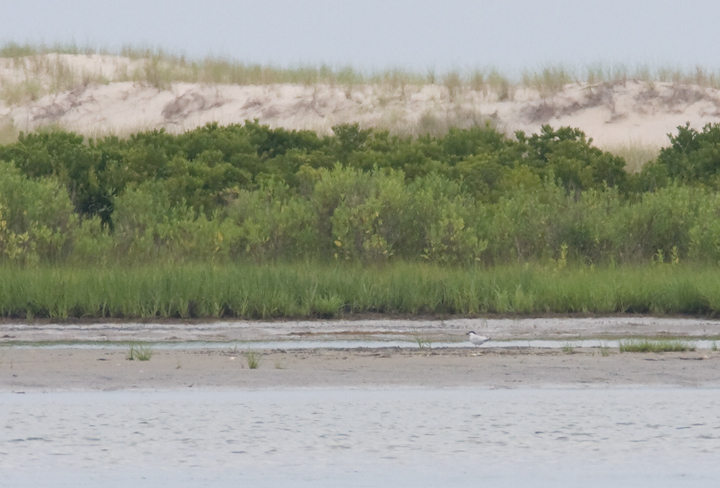 Below: An adult Roseate Tern off of Assateague Island, Maryland (7/19/2009). 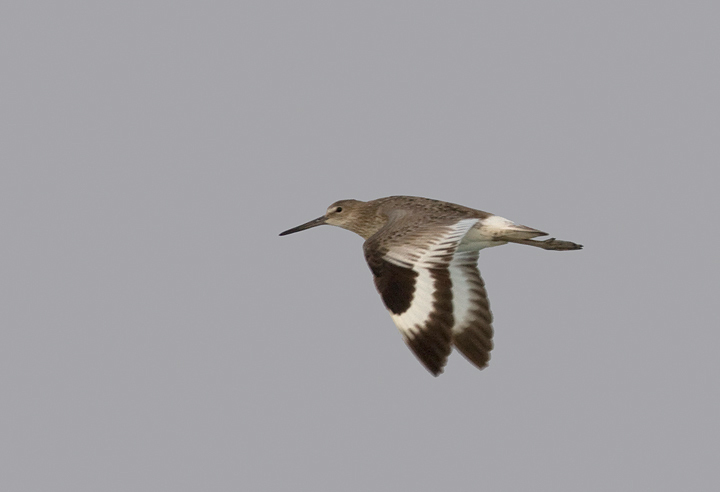 Mike Burchett picked out this beauty as it left a feeding flock and headed north up the coast. 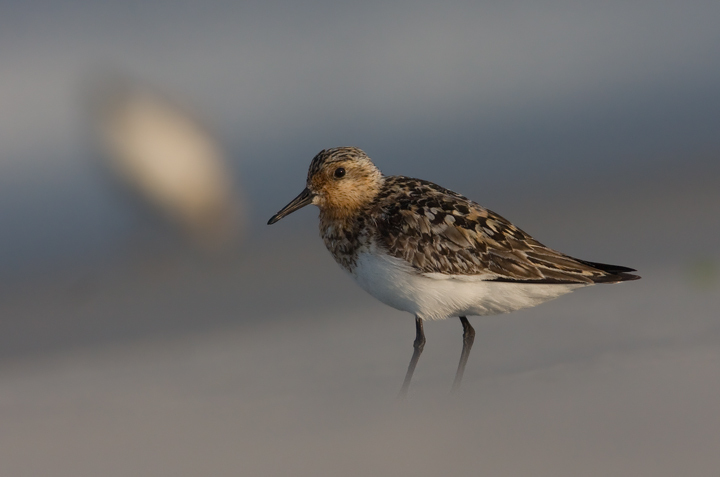 This was my first Roseate in Maryland and my 350th bird species photographed in Maryland. 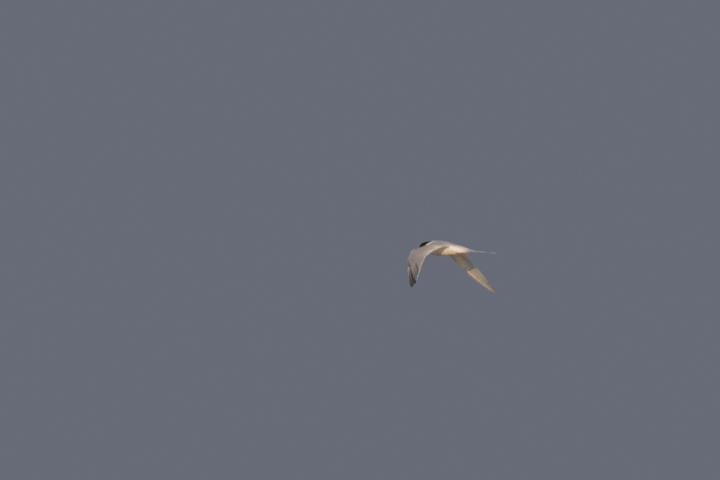 After a particularly painful miss this year, this bird was an extremely exciting and satisfying sight. 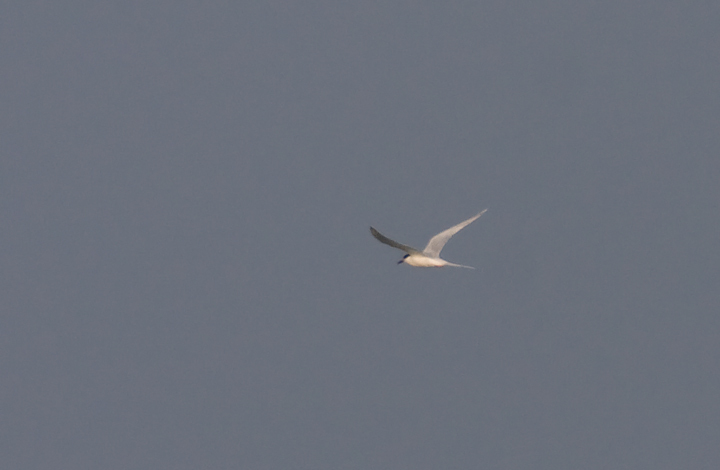 Below: There's no getting around it--lighting is tricky, and terns are tough. 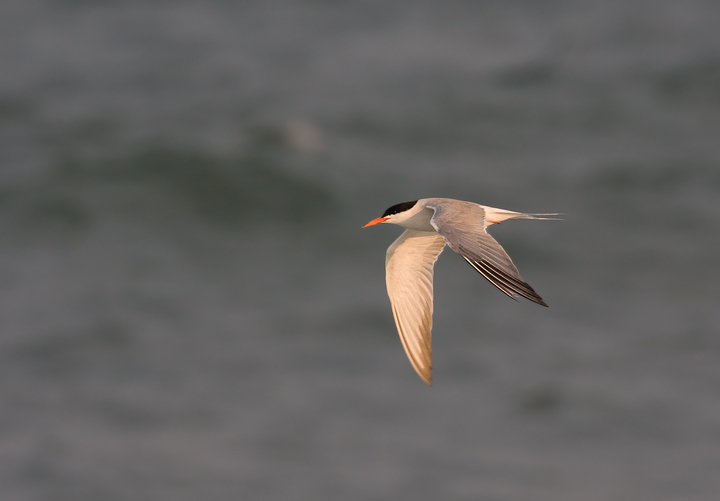 This Common Tern appears to have an orange bill and looked decidedly white-bellied in the afternoon light. 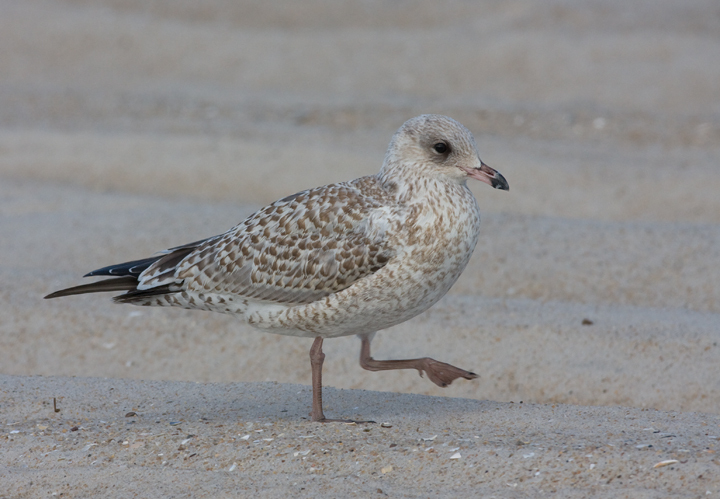 Reviewing additional photos, it does indeed have a gray belly. 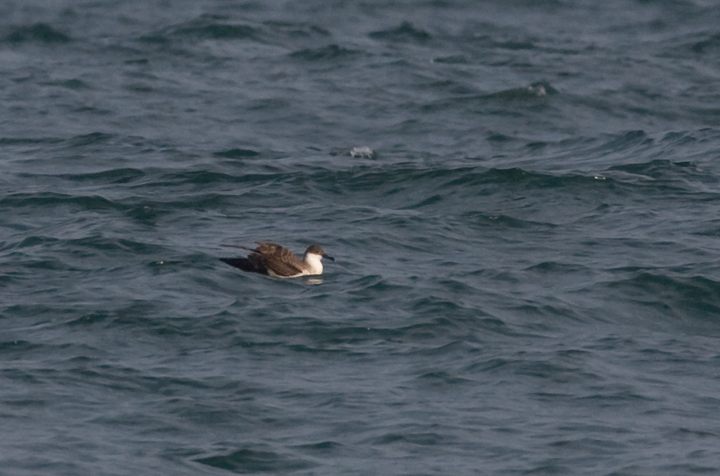 Below: A rare opportunity to view a Great Shearwater from shore - Assateague Island, Maryland (7/19/2009). 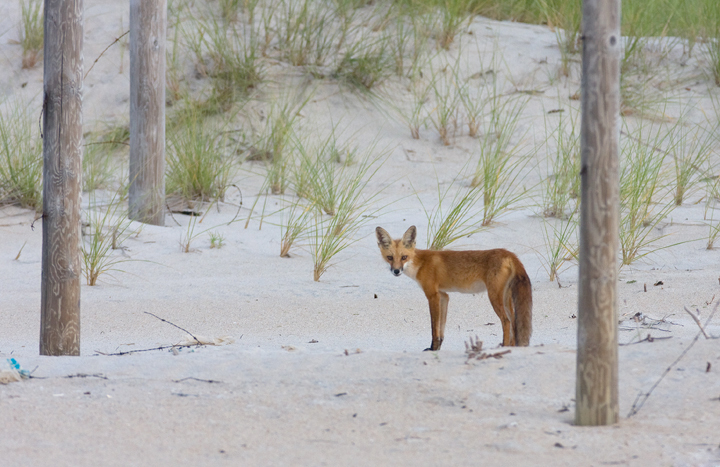 Below: A Red Fox hunts among the dunes on Assateague Island, Maryland (7/19/2009). 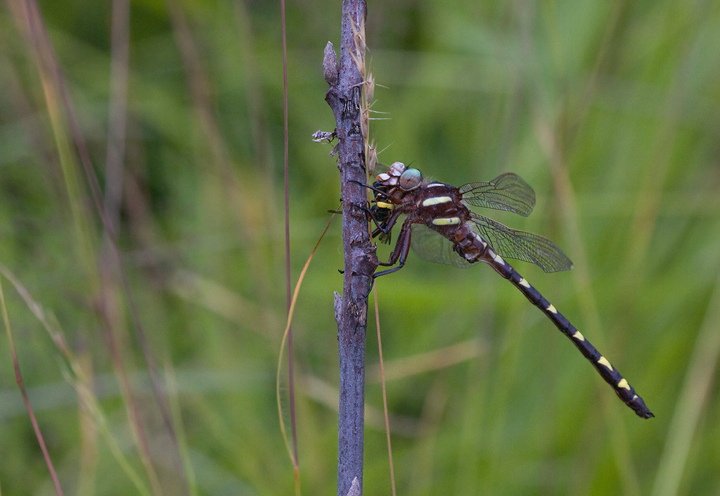 Below: A Brown Spiketail in Baltimore Co., Maryland (7/3/2009). 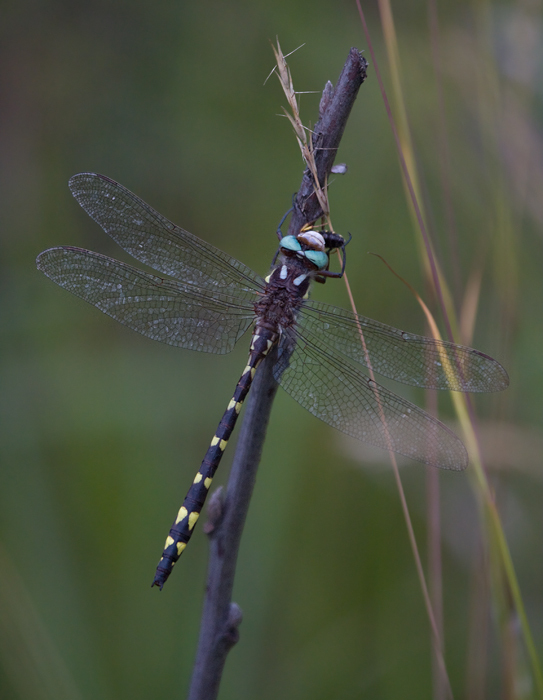 A nice spot and quick ID by Steve Collins. 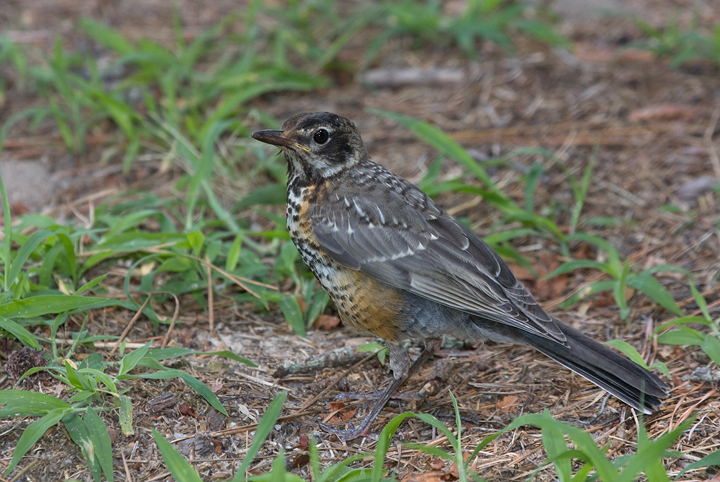 Below: A juvenile American Robin in Wicomico Co., Maryland (7/3/2009). 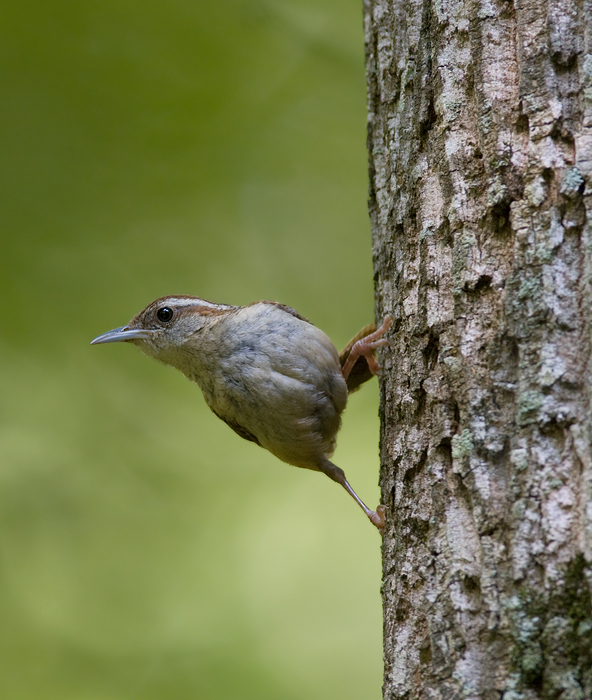 Below: A Carolina Wren in Dorchester Co., Maryland (7/3/2009). 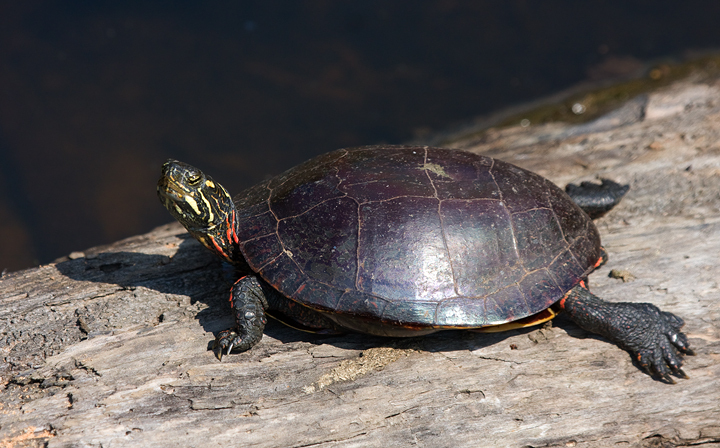 Below: An Eastern Painted Turtle sunning at Piscataway Park, P.G. 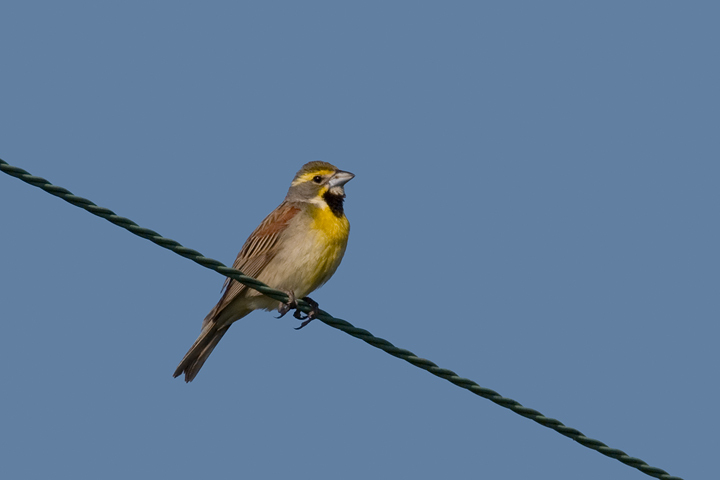 Co., Maryland (6/2009). 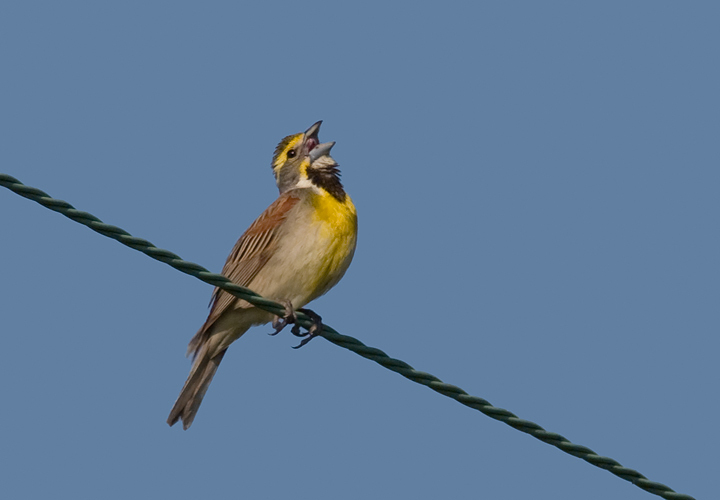 Below: A male Dickcissel in northern Dorchester Co., Maryland (7/3/2009). 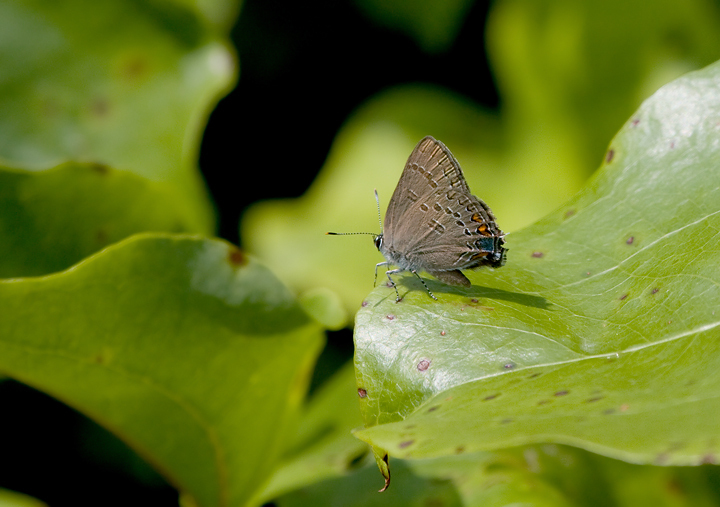 Below: Two Edwards' Hairstreaks, a rare and very local species in Maryland. 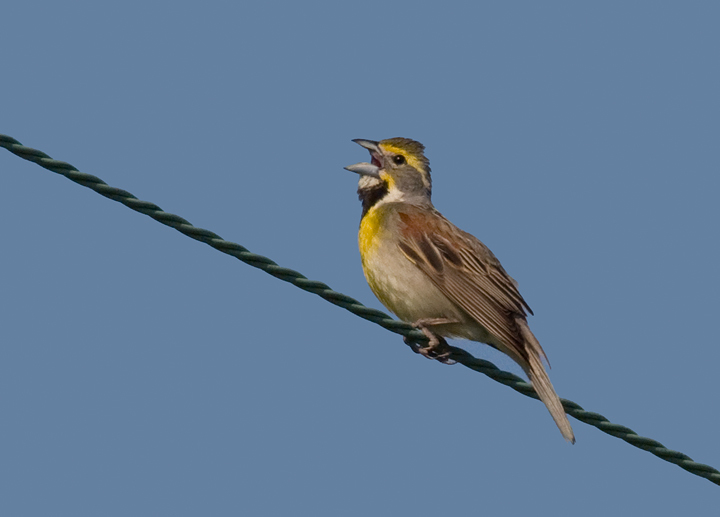 Listen to audio: Chuck-will's-widow at Weinberg Park, Anne Arundel Co., Maryland (7/5/2009). 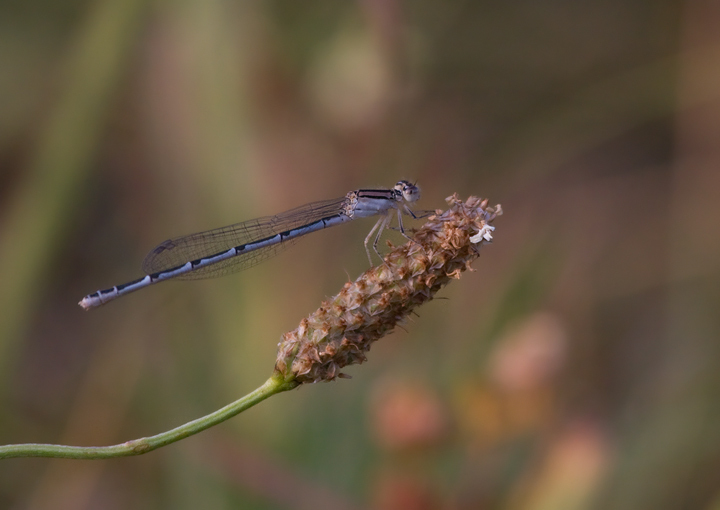 Below: A Familiar Bluet, presumably an immature male, in Carroll Co., Maryland (7/15/2009). 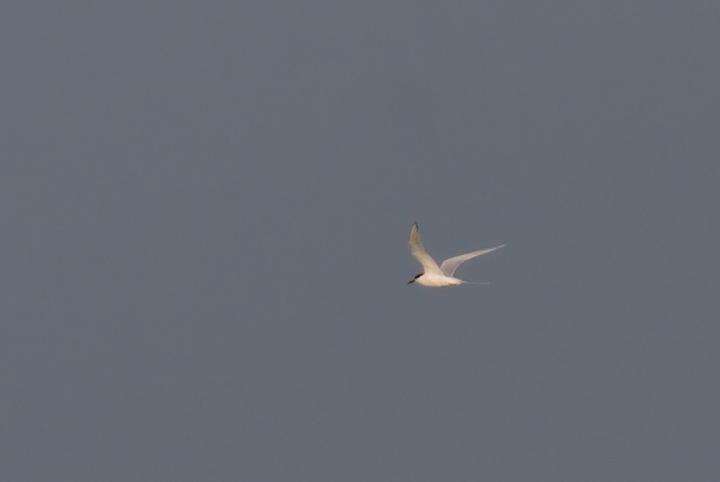 Below: A distant Gull-billed Tern in Worcester Co., Maryland (7/5/2009). 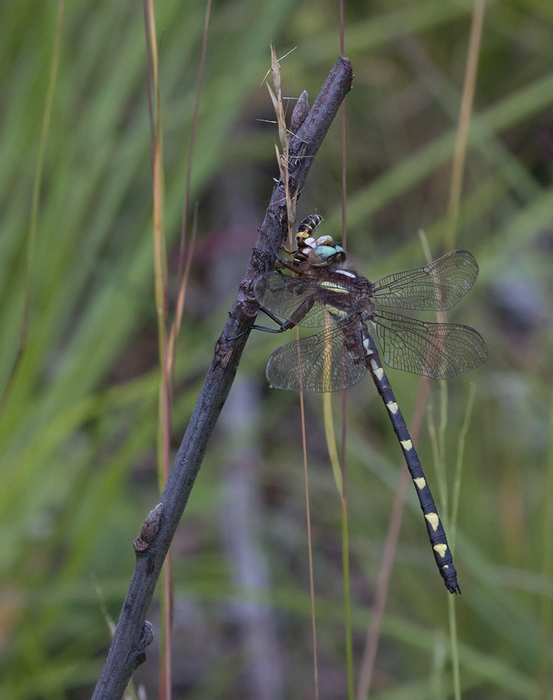 I decided I had to post it because it was my first photo of the species in Maryland. 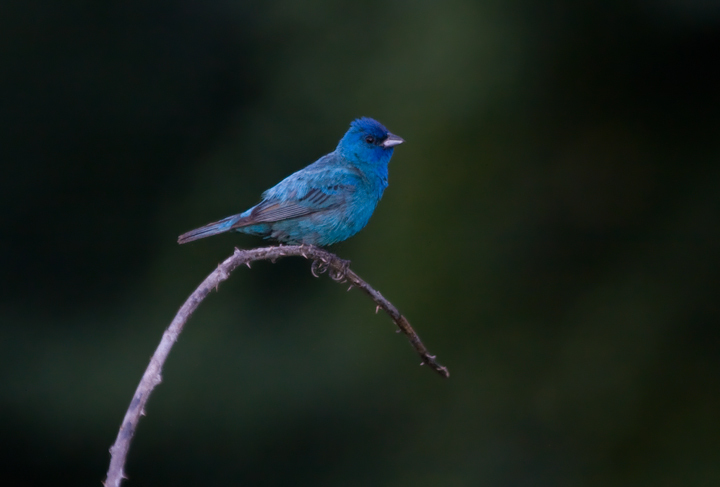 Below: An male Indigo Bunting photographed at dusk using high ISO and natural light, Carroll Co., Maryland (7/15/2009). 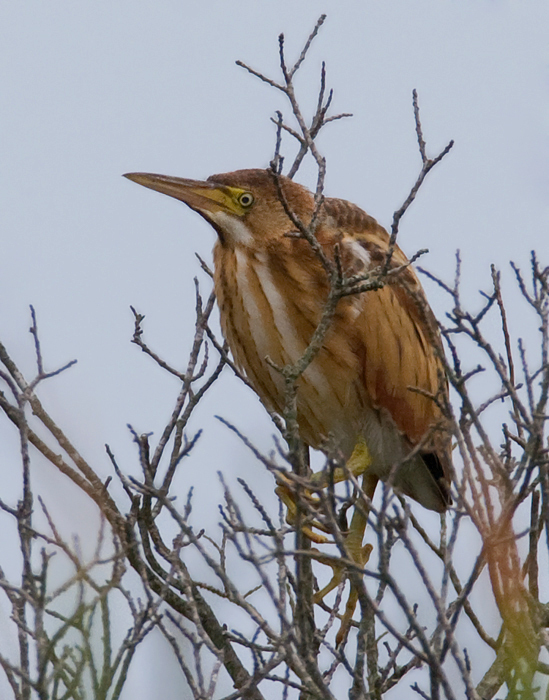 Below: A rare treat - we spotted this Least Bittern perched up in a water bush in coastal Worcester Co., Maryland (7/5/2009). 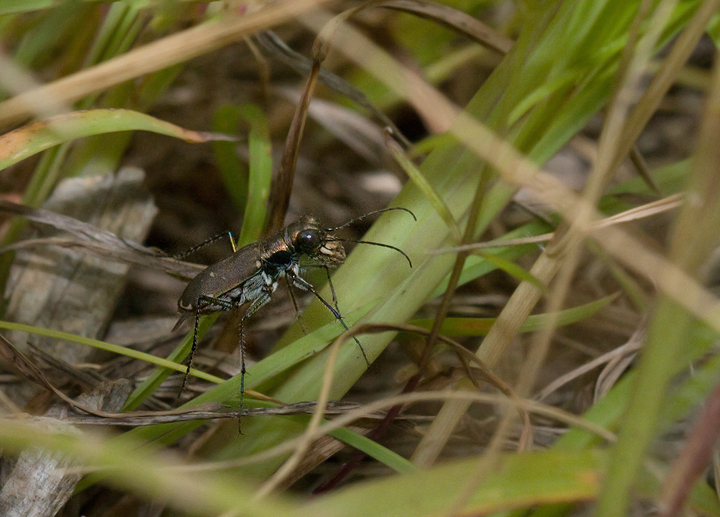 Below: An Eastern Red-bellied Tiger Beetle in Baltimore Co., Maryland (7/3/2009). 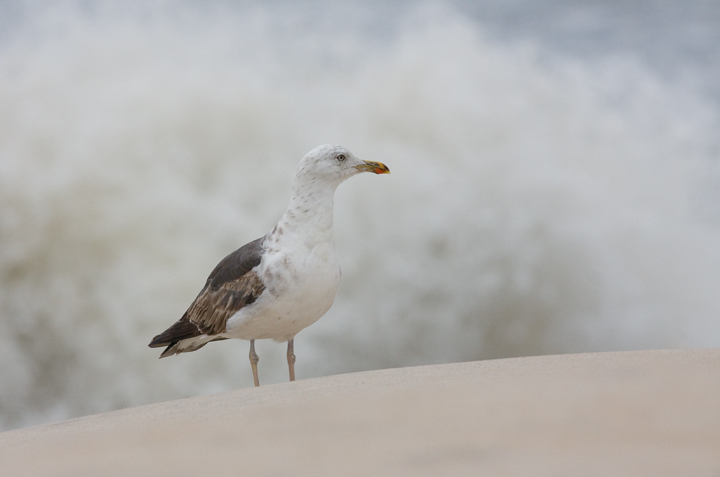 Below: A third-cycle Lesser Black-backed Gull on Assateague Island, Maryland (7/19/2009). 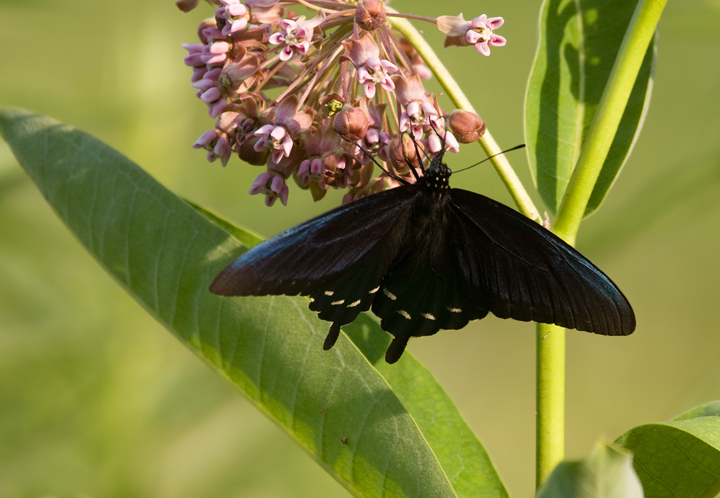 Below: A Pipevine Swallowtail nectars on Common Milkweed in Carroll Co., Maryland (7/15/2009). 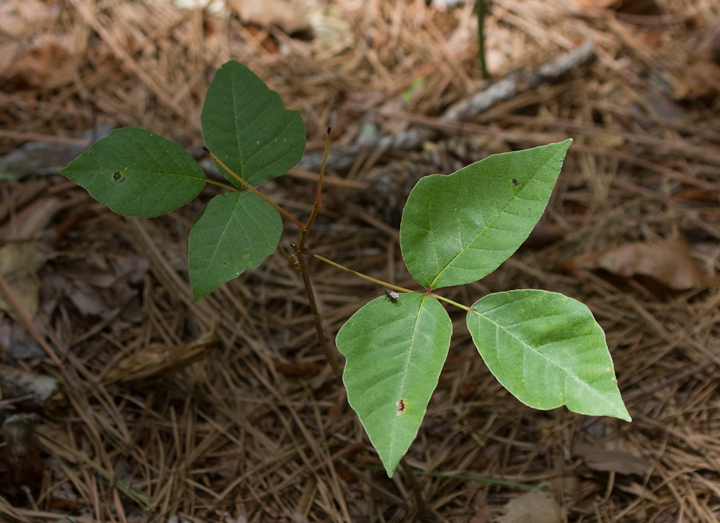 Below: Poison Ivy in the dappled light of a wooded edge in Wicomico Co., Maryland (7/3/2009). 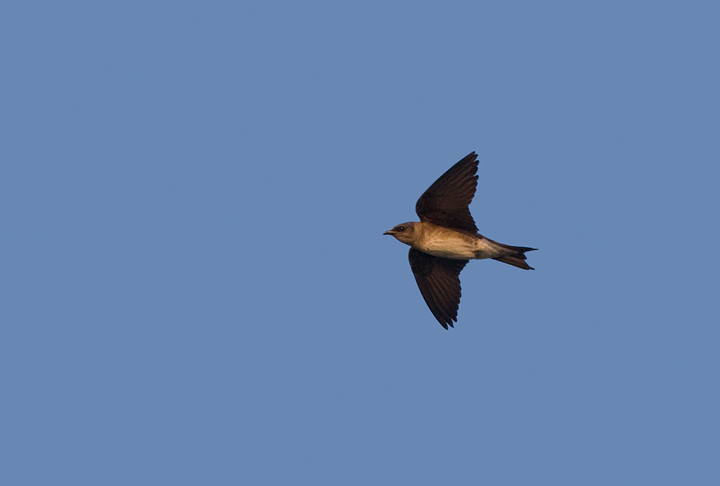 Below: A female Purple Martin at Fort Smallwood, Anne Arundel Co., Maryland (7/13/2009). 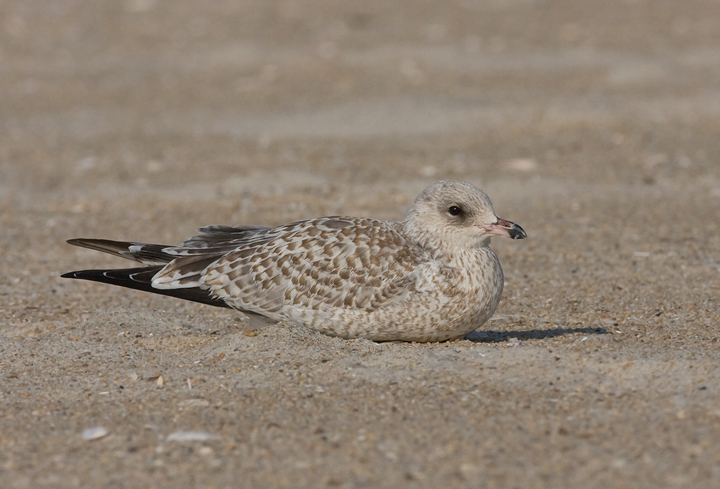 Below: A juvenile Ring-billed Gull completes its first trip to Assateague Island, Maryland (7/19/2009). 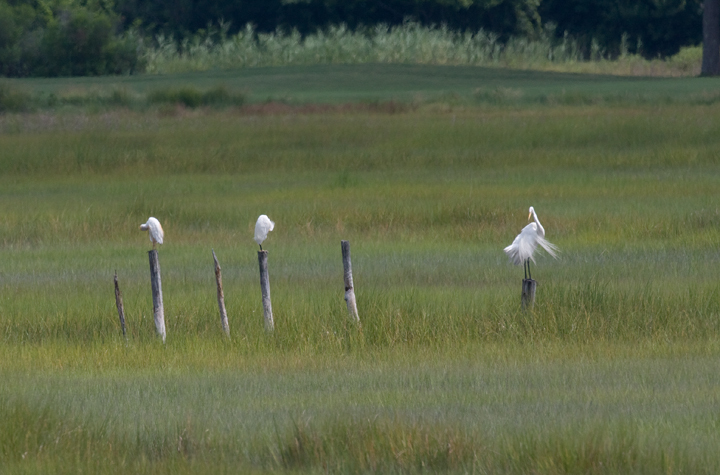 Below: Three egret species - Cattle, Snowy, and Great - roosting in coastal Worcester Co., Maryland (7/18/2009). 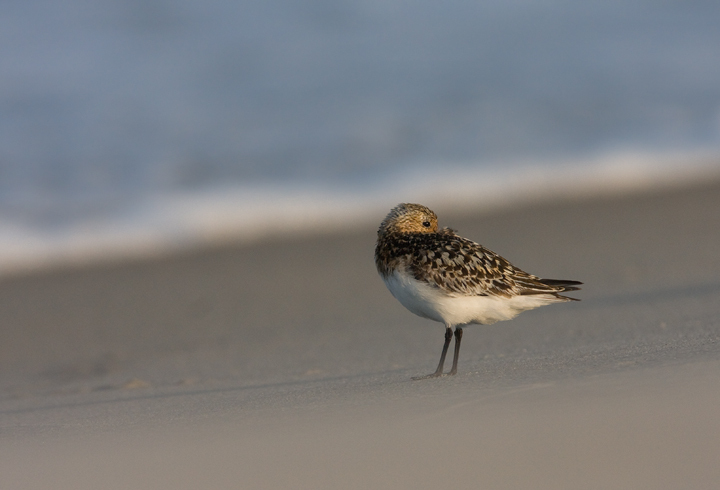 Below: Sanderlings at sunset on Assateague Island, Maryland (7/19/2009). 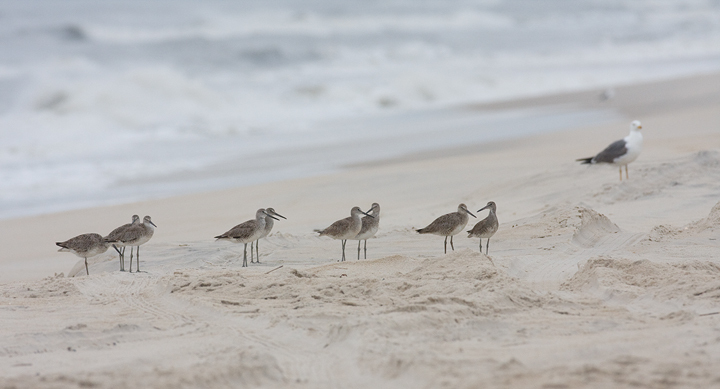 Below: Dawn at Bayside, Assateague Island, Maryland (7/18/2009).